Sometimes it can be difficult choosing between different types of dog food. If you need help in learning how to compare dog food, here are some things to think about. With the dozens and dozens of companies that sell dog food today sometimes it can be confusing. 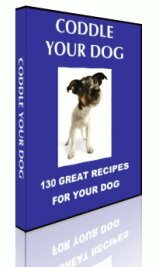 Also there are so many different types of food as well, active dog food, inactive dog, weight management, puppy, small breed dog food, large breed dog food, etc, it can be confusing. Look for a company that you have heard of before and that you have trust in their offerings. Also look for a company that has not been subject to too many dog food recalls. This might indicate a lapse in their quality standards. Some people like to go with smaller boutique dog food brands, but again it just comes down to whom you trust. Ultimately when you compare dog food it should come down to the quality of their ingredients. There are a large number of dog food ingredients to compare, but it seems to ultimately come down to two main ones. The primary meat ingredient should be the number one item listed on the package. Unless it is for some other special reason. Also a good primary carbohydrate is brown rice because it is easily digestible. Ultimately when you compare dog food it comes down to what type of dog food your dog loves. You can have the best rated dog food in the world, but if your dog doesn't eat it who cares. Remember to let your dog try out a couple different dog foods and see which ones they like the best and which ones give you the best results. Remember when you switch between different types of dog foods it's best to slowly switch the old with the new food over a period of 7-10 days in order to prevent digestive disturbances.